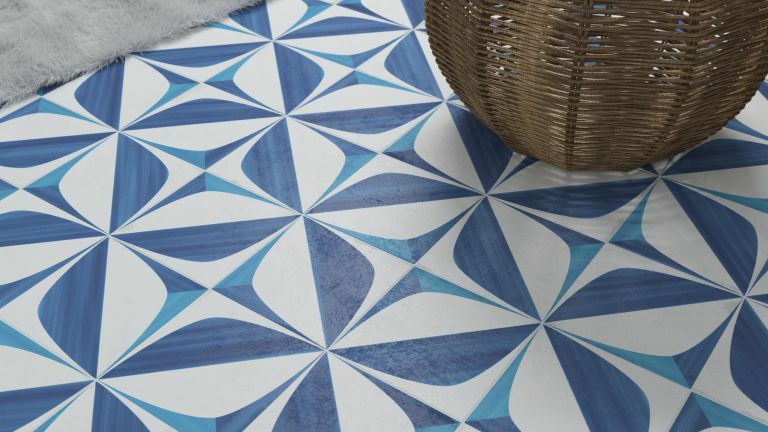 Follow this practical step-by-step guide to remove broken or cracked floor tiles without having to replace your entire floor or splashback of tiles. The first job is to take out the grout completely on all four sides of the tile. You can use an old chisel or flat-head screwdriver to do this. Drill a series of holes around the centre of the tile, using a ceramic tile bit and an electric drill. Since the tile is being removed, even a masonry bit can be used without tape, as if it slips slightly it will not matter. Use a hammer and cold chisel to cut through the tile. Wear gloves to protect your hands and goggles to shield your eyes from flying fragments, which can be sharp. Work towards the edges of the tile, gently breaking pieces away. Be very careful when you get close to the neighbouring tiles. With the tile removed, chisel out as much adhesive as possible; when you insert a dry tile it must not stand proud. Then coat the back of the new tile with adhesive and set it in place. Use a wooden batten to ensure that it is flush with the adjacent tiles and fit the tile spacers to ensure uniform grout joints. Grout the tile in the usual manner.